Heritage Guitars, founded in 1985 by former employees of the Kalamazoo based Gibson guitar factory after it was closed, is a boutique manufacturer, largely hand-making semi-hollow guitars, large jazz boxes and solid body electrics. Since that time Heritage has added many instruments. They currently manufacturer Custom Carved Hollow Body Guitars, Semi Hollow Body Guitars and Solid Body Guitars. This is to say nothing of the countless number of custom instruments they also make. Although most Heritage guitars were, and continue to be, based on Gibson designs, a few of their early electric guitars were based on modified Stratocaster and Telecaster designs. 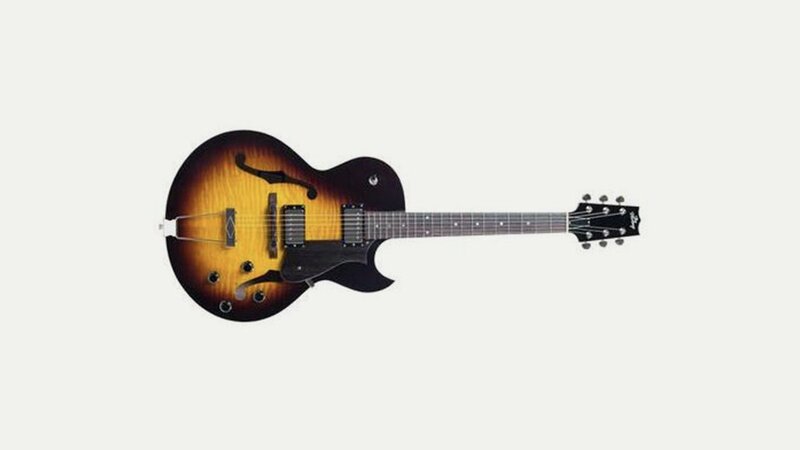 The design of the Heritage H-150 solid-body guitar is clearly modelled on the Les Paul Standard, while the H-575 resembles the ES-175 and the H-535 reinterprets the ES-335. Heritage has also introduced several new designs, most notably the Millennium models, which employ a “semi-solid” body that is more solid than a traditional semi-hollow design, but chambered, and thus less solid than a typical solid body.